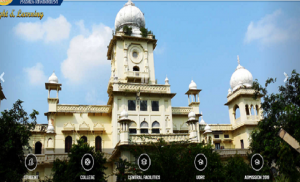 Lucknow University will soon introduce Bachelor in Vocation (BVoc) in electronics to help students develop, design and understand the functionality of electronic gadgets and instruments. As reported by TOI, the final assent to the course, which will be run by the university ‘s physics department, will be given in a meeting to be help on April 25. According to course coordinator NK Pandey, the BVoc course will be economical and a student can exit the course as and when he wants. However, s/he will be awarded degree on completion of a specific duration, he said. Launched by the University Grants Commission (UGC) as part of college/university education, B.Voc. is a three-year degree programme. The course offers multiple exit points such as Diploma/Advanced Diploma/Degree. A student can leave at the end of first year with a Diploma certificate, an Advanced Diploma certificate after completion of two years, and a Degree certificate at the end of three years. The eligibility condition for admission to B.Voc. programme is 10+2 or equivalent, in any stream. The B.Voc. course is introduced with an aim to enhance employability of the graduates and meet industry requirements. It aims to ensure that the students have adequate knowledge and skills, so that they are work ready at each exit point of the programme. UGC believes that graduates completing B.Voc. would be able to make a meaningful participation in accelerating India’s economy by gaining appropriate employment, becoming entrepreneurs and creating appropriate knowledge.